EDITOR’S NOTE: The housing bubble before the recession drove prices up at the Delmarva beaches. Then prices sank. It’s been nine years since the end of the recession. So have the beach communities recovered? In the series, Beach Real Estate Guide, WTOP’s Colleen Kelleher brings you advice on buying, selling and renting at the Delaware and Maryland beaches. DELMARVA BEACHES — What’s the best beach for the money? WTOP posed this burning and, admittedly, somewhat subjective question to real estate agents who sell in lower Delaware, where the beaches are, and Maryland’s Ocean City. Their answers give insight, not only to price but to other factors to consider in a second home. Here’s what they had to say about their respective beaches and what each beach town had to offer. T.J. Redefer is a real estate broker at Rehoboth Bay Realty in Dewey Beach, Delaware. He also holds the distinction of being the mayor. “That’s a great question. That’s an easy question, too. As mayor of Dewey Beach, there’s no question there’s one beach that is the best, but we’re tiny. When it comes to dollar-for-dollar costs, real estate broker Redefer said Dewey Beach ranks “pretty high,” when a buyer takes into account for how much the property can rent. Asked to highlight the pros and cons of Dewey, Redefer laughs. But for those not into late nights and adult beverages, Redefer offers an alternative. 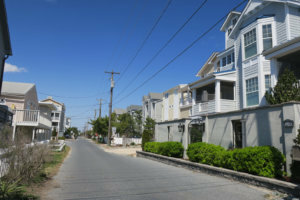 Dewey Beach is dotted with cottages, many of which are on land leases. Owners buy their homes but then pay rent for the land they are on. Most will expire by 2024. “When they expire, if the current owner does nothing, it will return to the company, Rehoboth by the Sea, the company that owns the land. But most people, they’ll be very few who do nothing. Most people are getting new leases, or buying their land now. The issue, it’s not really an issue, the concern or the problem most people have is the value from the 1950s to now has changed dramatically,” said Dewey Beach real estate broker T.J. Redefer whose grandfather bought the land back in 1925. Dewey Beach, for those who have not been there, does have some unique offerings in its 2-mile stretch, including the Jolly Trolley that takes people to Rehoboth round-trip for $5. The little bus runs from 8 a.m. to 2 a.m. For special rates, the Jolly Trolley goes to entertainment at Bethany’s Freeman Stage and occasionally to Seacrets in Ocean City, Maryland. “We don’t have a boardwalk. We don’t have the Ferris wheel and all of those things, but we have the ocean on one side and we have the bay on the other, and we’re a wooded, quiet, beautiful little beach area that also has nightlife that you’ll remember, that you’ll be talking about for years to come after you stay here in Dewey Beach,” Redefer said. Dewey offers movies and bonfires on the beach and “little things during the middle of the week to bring families out to the beach to come play,” Redefer said. 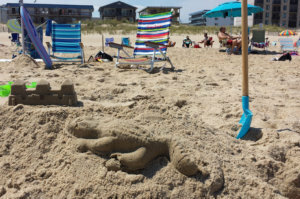 While not all rentals are pet-friendly, Dewey’s beach is. Dogs are allowed on the beach before the lifeguards get on duty and after they get off duty. “Did you know dogs could tell time? I know at 5 o’clock, every dog in this little town is waiting for their friend to come take them to the beach. I’ve even seen dogs sitting at the edge of the dune, waiting to hear the whistle because it is an interesting little, dog-friendly town and most people aren’t even aware of that,” Redefer said. Real estate agent Brett DePrince of Joe Maggio Realty said Bethany is the best beach for the money. DePrince, 27, grew up in Rehoboth, lives in Rehoboth and rents property for his family there, but he sells in Bethany. “It seems Bethany is now how Rehoboth used to be. It’s quiet. It’s still a very seasonal town, even though it’s 15 minutes away,” said DePrince. “It can be get busy in the summertime. As far as market value and getting your money’s worth, I’d say you could definitely find a decent priced property that’s either close to the beach or right on the beach and if you’re completely looking for an investment property, you would definitely be going for it there,” DePrince said of Bethany. “You can find a lot of big homes in Rehoboth and Dewey, but you are going to be paying a lot more,” he said, adding that the same home could be 25 percent less in Bethany. Allison Stine, a broker with Long & Foster, analyzed the data the real estate company tracks in Delaware’s beach towns. She’s been selling Delaware real estate since 1999 and has lived in both Bethany and Rehoboth, selling all across Sussex County. 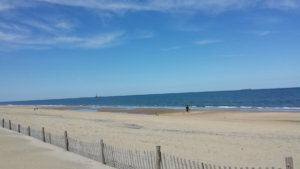 “I would say the Bethany/Fenwick/Ocean View area overall is the best beach for the money. The median home sale price in that area is $385,000,” Stine said in April as she looked at the latest data available from February. Long & Foster’s data for April puts the median sales for those communities at $397,500, compared with $345,000 a year earlier. In Bethany, buyers can purchase condominiums for as low as $160,000 and oceanfront houses for more than $3 million, Stine said. Bethany has a small, oceanfront boardwalk. While its downtown area is walkable, much of the Bethany community and all of Ocean View is across the highway from the beach. “Most of the times, if they’re across Route 1, they’re not going to be walking. Most of the times, they will be driving or bike riding,” said Joe Wilson, a realtor with Condominium Realty, Ltd. in Ocean City, Maryland. “The biggest con, though, with Bethany is parking, trying to find parking for the beach or close to the strip,” Wilson said. Fenwick Island, the Delaware town closest to Maryland, is smaller than Bethany, so there are fewer properties from which to choose, which makes it pricier. Condominiums start around $300,000 in Fenwick. Oceanfront beach houses are priced up to $3.5 million. “I love Fenwick. The positives are it’s pretty much all walkable. You’ve got a good spread of restaurants throughout the entire town. Usually, a short distance to the beach, no matter where you are,” Wilson said. “I feel like more of the Washington crowd is in Fenwick and in Rehoboth Beach. Again, that’s anecdotal. Having lived in both, I feel like that’s where you see the Washington crowd — the nation’s summer capital is what they call Rehoboth Beach,” Stine said. Then there is the privacy. “This is completely anecdotal. My clients who want to escape Washington, D.C., and not be seen on the weekends, they’re all in Fenwick. My clients who want to escape D.C., and they want to be seen every weekend, they’re all in Rehoboth. They want to run into the people that matter to them the most at their business or back at their law firm or whatever it is they’re doing. Bethany is sort of a mixed bag of all of that,” Stine said. Homes in Rehoboth are “significantly more expensive” than Bethany, Stine said. 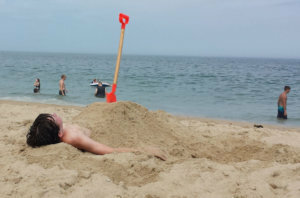 “You definitely have to have a lot of money to afford a second home in Rehoboth Beach. No doubt,” she said. To own a home on the oceanblock of Rehoboth, a buyer will need $2 million. For oceanfront, the price is up to $5 million. Rehoboth also tends to be more of a year-round community that’s very walkable. 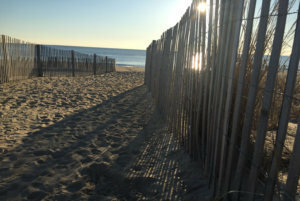 “Rehoboth has a little bit different vibe in terms of restaurants, cultural exhibits, activities, some great outdoor space when you talk about Cape Henlopen State Park and the Breakwater Trail, Gordons Pond, Deauville Beach. It has a boardwalk that is livelier than Bethany’s boardwalk with Funland, arcades, restaurants. It has a nice big Rehoboth Avenue with a variety of cuisines from beach fare to Indian food to Thai food to great Chinese food to magnificent seafood restaurants all up and down that avenue. It has a bigger selection,” Stine said. For shoppers, Rehoboth also has Tanger Outlets on Delaware Route 1. Because the outlets are spread along Route 1, some might consider traffic to be a drawback in Rehoboth. Traffic during the summer season is always an issue in Ocean City. But despite that drawback, Wilson and Long & Foster’s Steve Mastbrook both picked Ocean City as the best beach for the money. Both sell in Maryland and Delaware. Wilson grew up in Ocean City. 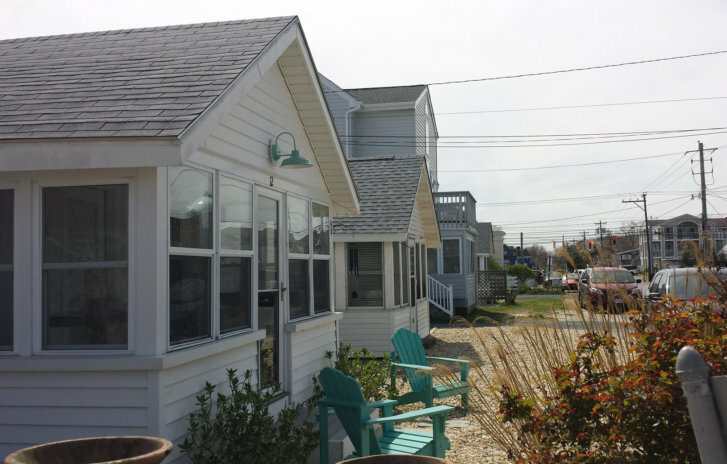 Mastbrook owns homes in both Sussex County and Ocean City. Real estate is his post-retirement career, after having lived in Silver Spring and owned a business in D.C.
“Looking at the real estate values, it’s by far and away the most affordable. You can get the money property for your dollar here,” Wilson said. “The prices are fantastic. They’re drop-dead low compared to Delaware, Pennsylvania, New Jersey,” Mastbrook said. The Maryland resort has three distinct areas — downtown, midtown and uptown. “The downtown area, it’s known for the hustle and bustle,” Wilson said. Downtown has a 2.5-mile-long boardwalk, lot of bars, a wide beach at the inlet, places to fish and a host of other things to do. “Uptown is known for being the quiet part of Ocean City. Pretty much anything north of 120th Street is usually known for being the quieter area of Ocean City,” Wilson said. 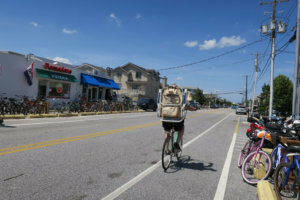 Uptown or North Ocean City goes from 90th Street to 146th Street, where Ocean City meets Fenwick Island. The high-rise condominiums also are in uptown. In midtown, from 28th Street to 90th Street, you’ll find a lot of restaurants, Jolly Roger Amusement Park and fewer condos. “It’s the narrowest part of the island, so you have the least amount of buildings on each street,” said Wilson, who also sits on Ocean City’s planning board. Mastbrook said in addition to having lots to do in Ocean City, buyers need to look at what else the resort offers. “Ocean City is your best bang for the buck. Their beaches are always rated as the top sandy beaches anywhere up and down the East Coast. The city really takes care in making sure the beaches are the focal point that brings people to Ocean City,” Mastbrook said. As you think about buying or vacationing at Delmarva’s beaches, you might wonder — what’s the best beach for the money? WTOP's Colleen Kelleher went to your favorite sandy spots and asked real estate agents that hard-hitting question.